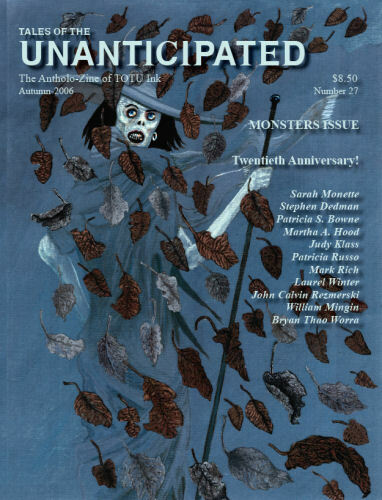 Includes fiction by Sarah Monette, Stephen Dedman, Patricia S. Bowne, Martha A. Hood, Judy Klass, Patricia Russo, Mark Rich, Laurel Winter, William Mingin, Bryan Thao Worra, Ellen Kuhfeld, Douglas J. Lane, Brandon Sigrist, T. Bilgen, Robert P. Switzer, and Jason D. Wittman ; and poetry by John Calvin Rezmerski, Brian Thao Worra, Laurel Winter, durenda, Deborah P. Kolodji, Cornelius A. Fortune, Ann K. Schwader, Bruce Boston.